Even when you have been collecting Warhol covers for years, and you think you’ve seen them all, a surprise can turn up. 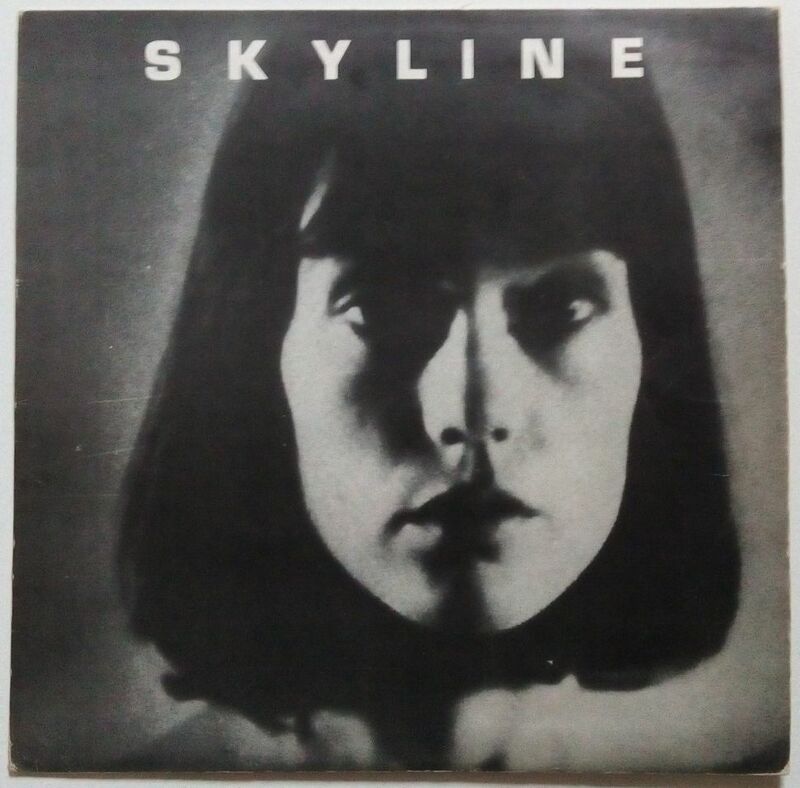 Like this album by Skyline on the French label Four Stars Records, found in a joint research with friend and collector Raimund Flöck from Germany. The record, released in 1978, clearly is a bootleg, so use of the Warhol image was most likely unauthorized. 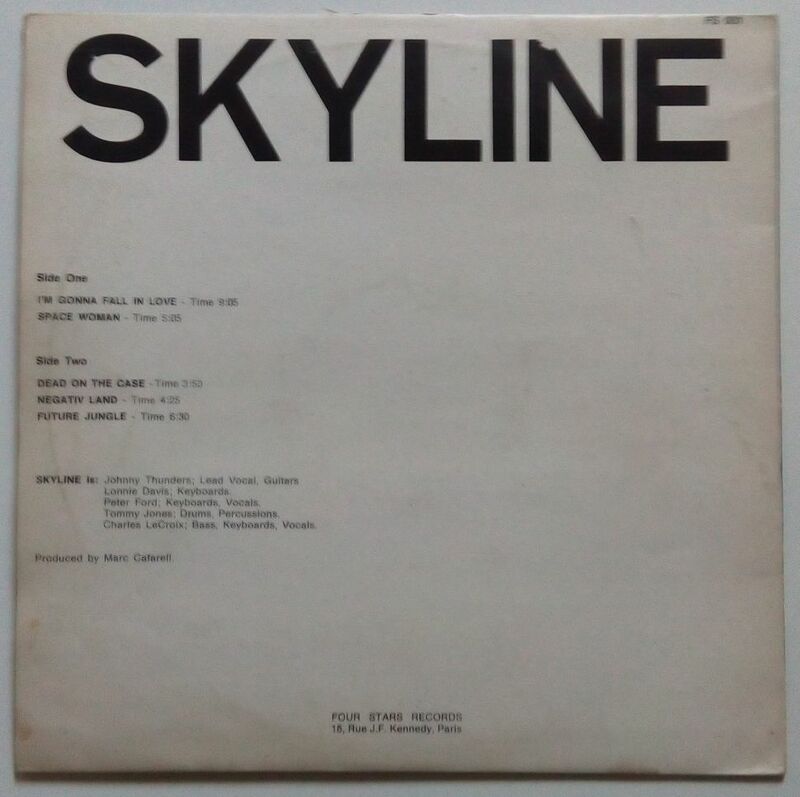 A little history of how we found the album: a few months ago Raimund told me about a record he had seen called Skyline, with a spectacular picture of Manhattan on the cover. At the back, the cover photo was credited to A. Warhol. Raimund and I agreed it did not really look like a Warhol photograph, so we looked deeper into it. A second version of exactly the same album turned up, with a black and white picture of a woman staring in front of her on the cover. No Warhol credit on the back cover, though. 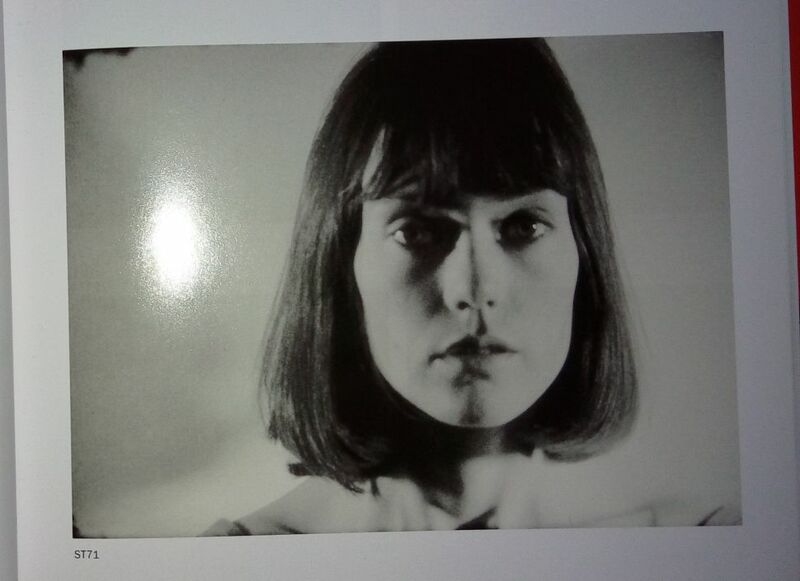 I had a look in Callie Angell’s great Andy Warhol Screen Tests catalogue, you never know. And there it was: the screen test numbered ST71, of Susanne (sic) De Maria. The screen test was made in 1964, and has been part of Warhol’s compilation movie The Thirteen Most Beautiful Women. Susanna De Maria was the wife of conceptual artist and sculptor Walter De Maria. Andy Warhol, Walter De Maria and La Monte Young tried to start an experimental rock and roll band in those years, but that did not work out very well. So in short: the version with the Warhol credit has no Warhol cover, the version with the Warhol picture does not have the credit. Well, it’s a bootleg after all. Also the names of the band members are fake, so no Johnny Thunders is playing the guitar. Some names of the tracks seem to be real, but the original artists who these were ‘borrowed’ from, are not mentioned. The record seems to be a club classic. Even before the Warhol-connection became clear, DJ’s and fans of dance music would easily pay between 100 and 150€ for a copy. From: Andy Warhol Screen Tests: The Films of Andy Warhol – Callie Angell, H.N. Abrams, 2006. Great post Guy and a fantastic find. Good thing you seem to have every book ever written on AW, must help a lot for fact checks and references. Guess i might have to stock up on them also if i’m ever going to find that “unknown” album cover or dust jacket. Thanks Niklas! Sometimes it’s better to invest in a good book, than buy yet another new bootleg with yet the same Jagger portrait for an outrageous price. Wow! Did not know of this either! Dear Susanna, I was very thrilled that you have read my post, and happy with your reaction. I am glad I could bring you this news. I love the abum cover with your picture. Hope to see the complete screen test one day. Maybe I should correct the spelling Susanne/Susanna in my post. Sorry about that! Amazing research. Superb photo of a true beauty~!